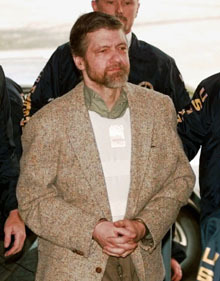 Would you want to admit the Unabomber to your university? Harvard did and surely regretted that decision. Holistic admissions isn’t perfect but it’s better than just judging applicants based on SAT or ACT scores and grades. There was an article recently in “The Atlantic” entitled “The False Promise of ‘Holistic’ College Admissions” written by Phoebe Maltz Bovy that we wanted to draw to your attention. In the piece, Bovy essentially argues that holistic college admissions isn’t right, that admissions officers are essentially “passing judgement” on students based on their transcript, SAT or ACT scores, college admissions essays, and letters of recommendation. They’re judging the character and personality of these students when, she argues, they should be judging the “applicant.” We beg to differ. What on earth is wrong with judging personality and character? Some admissions officer(s) at Harvard mistakenly judged the character of Ted Kaczynski and offered him admission to their university. We’re not saying these character and personality judgements are always correct (they’re not! ), but why can’t college admissions officers factor in personality and character so as to avoid the embarrassment of having future murderers as alumni? It seems rather logical to us! And in what world aren’t people judging? Our world is filled with judgement. Not everybody is a winner! To give you an example, when you go on a date and the person is incredibly smart and kind and has a great job, does that mean that you’re automatically into that person? Of course not. Because your judgement of him or her is holistic. If you don’t feel it, you just don’t feel it. It’s that simple. What’s wrong with having some of that in college admissions? Are there flaws with holistic college admissions? Yes. But Ms. Maltz Bovy seems to only point out these flaws without suggesting a better alternative. It’s certainly not just judging an “applicant” by his or her grades and test scores. Because then schools will admit the Unabomber. And that would be terrible! While you’re here, read about how Ivy League admission isn’t “random.